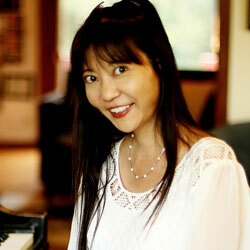 Sueanne Shimabuku Metz began studying piano at the age of five. Under the guidance of Ellen Masaki, she won numerous awards in local, national, and international competitions. She debuted as a soloist with the Honolulu Symphony, performed in a private concert at the White House, and various venues throughout the United States and Japan. Mrs. Shimabuku Metz earned her Bachelor of Music degree at the Oberlin College and Conservatory of Music while studying under Robert Shannon and Monique Duphil. She pursued her musical education in the graduate program at the Indiana University School of Music in the studio of Evelyn Brancart. Mrs. Shimabuku Metz started teaching piano privately in 1997. Since then, her students have won numerous awards at state, national, and international competitions. I strive to teach my students a genuine appreciation for music. Students learn how to play the piano through positive reinforced instruction, challenging and structured daily assignments, workshops, and participating in local, state, national, and international competitions. I partner with students’ parents to create an environment for their child that is positive and encouraging. My students and parents develop a close relationship with each other and this fosters a positive learning environment and friendships. Students who excel in my studio strive for excellence, are dedicated, and are actively supported by their parents. Please e-mail me at smetz88@gmail.com if you are interested in scheduling an interview/audition.